Why am I still living here? I should be in Florida, but alas, I can’t leave the family behind. Anyways, we are expecting to get 28″+ in the next 36 hours. It has already begun to snow, and I am sooo not looking forward to this. But if I do have to be stuck inside, at least I’ll have my Disney shorts to keep me company. “On Ice” is a hopeful short that could almost convince me snow can be fun! When I first saw that teaser trailer of just a glass shoe flash across my TV, I have to admit, I wasn’t thrilled at all. How can they remake this classic movie? I mean, it’s Cinderella, for crying out loud! My adversity towards this film only grew stronger after I saw the letdown, Maleficent. That movie was horrible, even with Angelina Jolie, one of my favorites! Well, I did finally get around to watching the official trailer for Cinderella, and my thoughts have shifted slightly. First off, I was under the impression that this remake would be an adaptation of the classic animated movie, with the singing and talking mice and all. That was not cool with me. I will say, though, that this doesn’t appear to be the case. The movie has a more dramatic feeling, I don’t think there is any place for singing in it. Point 1 for movie. Also, I’m overly ecstatic to see one of my other favorite actors, Cate Blanchett, playing the Evil Stepmother! Now I am apprehensive, because I felt the same excitement with Jolie, so I’m hoping history won’t repeat itself where that is concerned. Point 2 for movie. And last, being a passionate Game of Thrones fan (can you blame me?! ), I am so so so looking forward to seeing “Robb Stark” in his dreamy role as Prince Charming. Point 3. A dream is a wish your… OK, enough. Number one – the mice. They were such a critical part of the original, that making them voiceless CGI rodents might not translate with the same wonderment. I can’t imagine it will, actually, but we’ll see. Number two, three, four, etc… – THE FAIRY GODMOTHER?!?!?! They cast Helena Bonham Carter as the Fairy Godmother?!?! Noooooooo. That could potentially ruin the entire movie for me. Don’t get me wrong, she’s great in certain movies, but really, it’s Helena Bonham Carter. 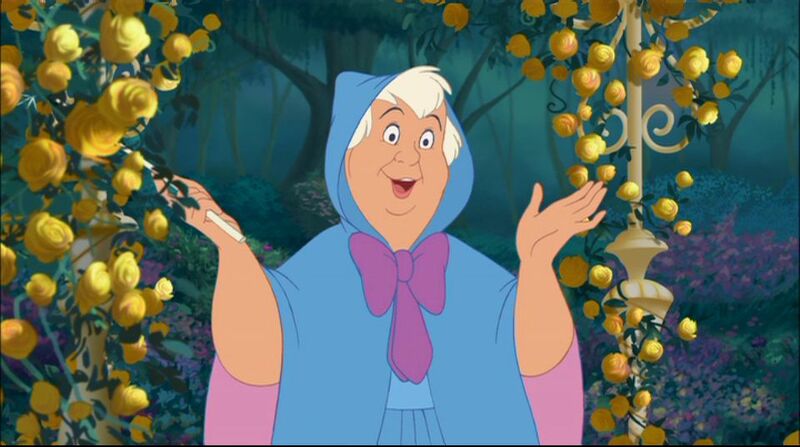 She’s not the chubby, soft, elderly woman that pops into my head when I think “Fairy Godmother”. I don’t see it. I know, this is from the third movie. But I love that expression! I’ve been in such a “Pixar” mood lately, and I believe that when the urge to schedule your weekend around a Pixar marathon arises, you must take heed and entertain your inner calling. I think I’ll kick off the weekend with Toy Story (obviously). Toy Story is such a great movie, I wouldn’t change anything about it. Truly! I believe the animators thought of everything, and made the right choices. Including the title of the film. Oh, yes, there were some rather odd ideas floating around as to what the movie should be titled. Some of those included; The New Toy, The Cowboy & The Spaceman, and The Favorite. But the ultimate in awful title ideas has got to be, hands down, Toyz in the Hood. A passionate blogger was so kind as to create an example of what the movie poster might have looked like. So long to the Sorcerer’s Hat. 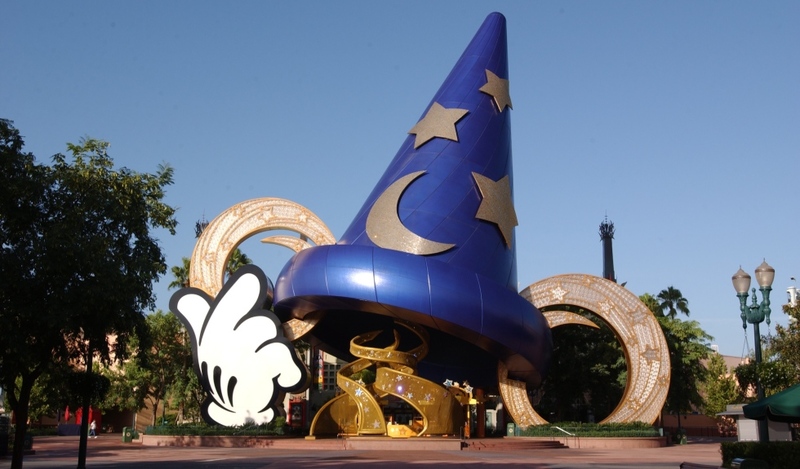 Yesterday marked the beginning of the end for the iconic Sorcerer’s Hat, famously located at Hollywood Studios. The Hat has been a part of the park since 2001. It’s speculated to have been built due to copyright issues in respect to Grumman’s Chinese theater. I’m not sure what will be going in its place, but I do know that the news of this flooded the Disney-waves and yesterday was a sad day for most. But I’m not so sure that I really care about losing the Sorcerer’s Hat. While I understand it’s iconic, it isn’t Cinderella’s-Castle-Iconic. That would be a big issue. The Hat is really a large pin trading store, used for the backdrops of millions of photo-ops, I understand, but it doesn’t feel like a big loss. Perhaps if I went there more often, I would be joining those who are mourning the loss during this construction. I was recently at WDW back in September, so I did get to see the hat one last time. Had I know at the time that the plans were to remove it, I may have taken some more pictures of it, or gone inside the store at least! Oh well. Hopefully they replace the Hat with something super cool. Hollywood Studios is a lot of fun, but it’s definitely due for some new material. What do you think? Will you miss the Sorcerer’s Hat? What would you like to see it replaced with?